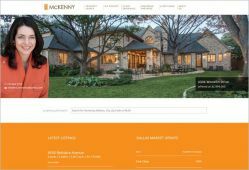 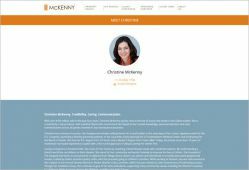 SM Sold teamed up with Dallas Top Selling Realtor Christine McKenny. 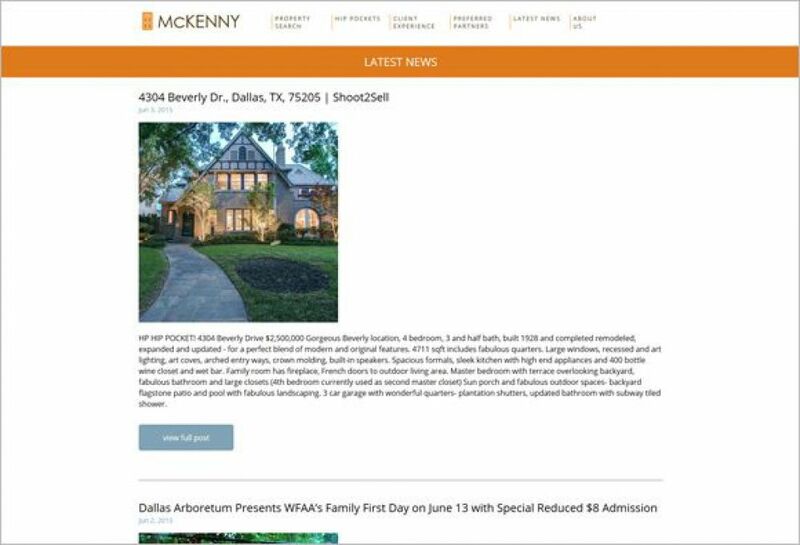 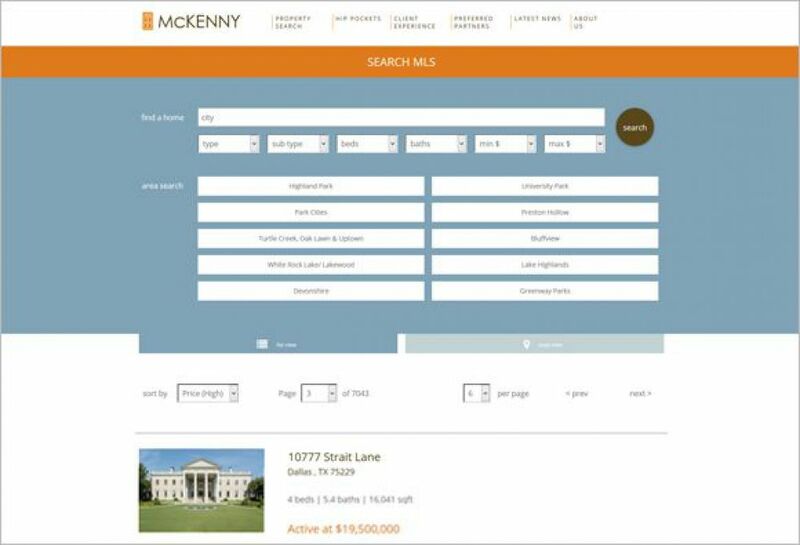 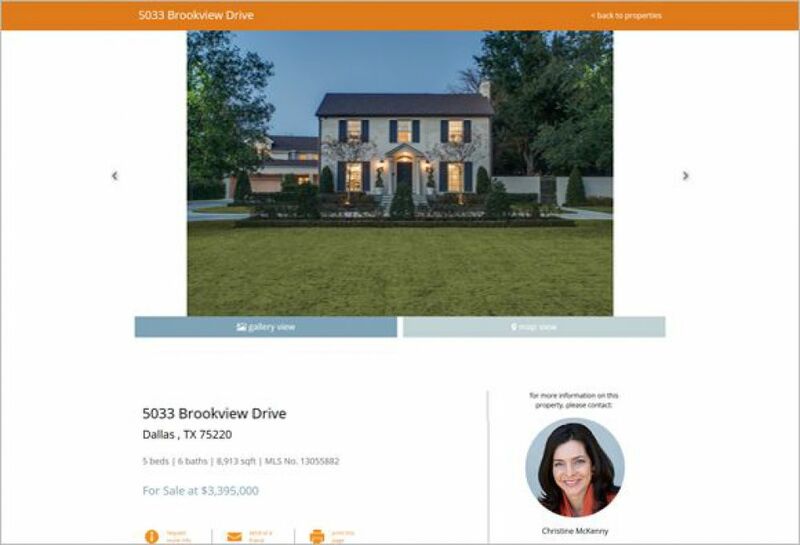 SellingDallas.com, integrated on our newest Sold 5 platfrom offers captivating and welcomig gallery, property search, market updates, and our newest, social feeds. 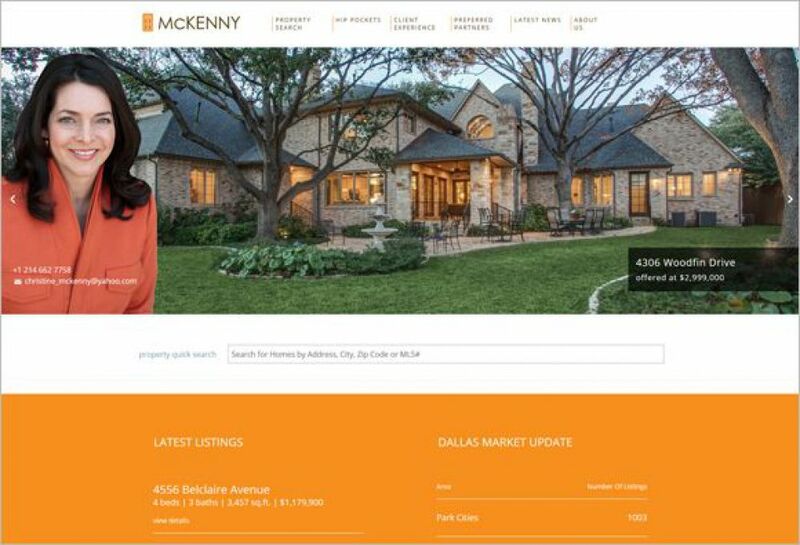 The interior pages, offer a clean look while remaining informative, giving clients that visual yet informative takeaway all in one. 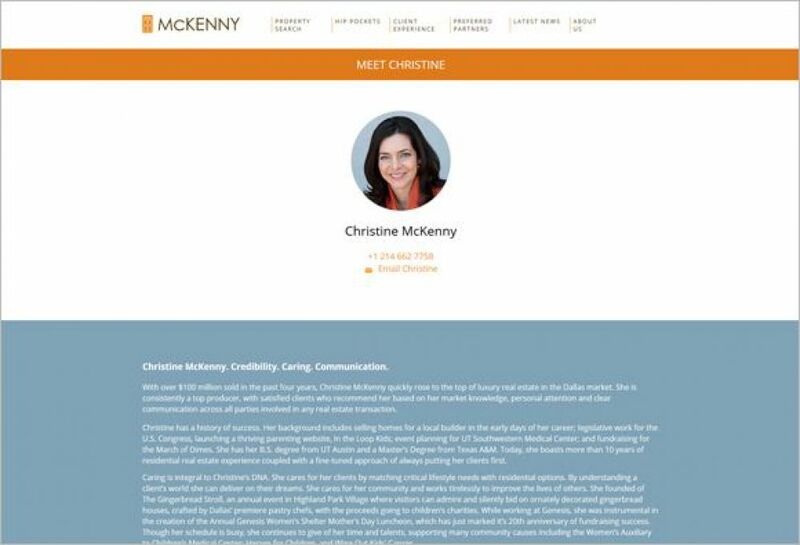 Features exclusive to Christine include HIP Pockets which provide a place for pocket listings, client expereince and the latest news, and social media integrated feed. 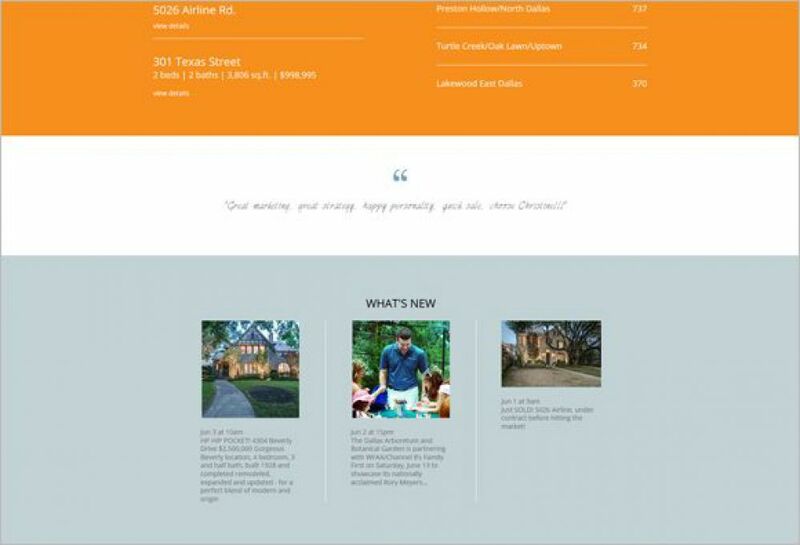 If you're looking for homes in Dallas, Christine of www.sellingdallas.com is who to speak with.